The 1873 Liberty double eagle, with an Open 3 in the date, was produced in greater numbers than its Closed 3 counterpart. 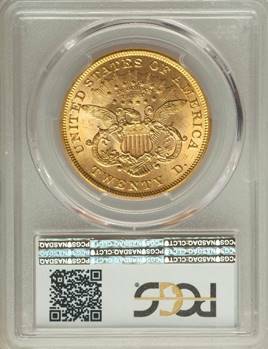 Its availability as a Type Two double eagle makes it a popular choice with type collectors. Of course, the coins circulated heavily at the time of issue and high-grade examples are elusive. Of note is the fact that an MS64 example would likely cost well in excess of $20,000. 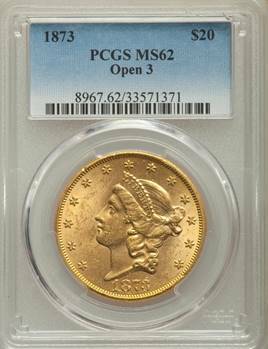 Listed at $5,750 in the PCGS price guide, $6,600 in the NGC price guide and $6,000 in Trends. Previous Previous post: Order the Aztec Calendar Rounds today!